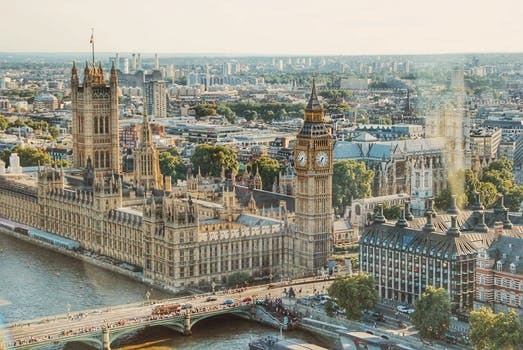 If you want to experience all that London has to offer, from shops to famous landmarks, then our VIP chauffeur service from Leicester to London is perfect for you. Our aim is to offer residents and businesses in Leicestershire and the surrounding areas our complete service. We can help you to plan the perfect trip using our experience and our ability to take advantage of all that London has to offer. If you want to visit London with friends or family, we offer Chauffeur shopping trips in London, from Leicester. This enables you to travel in complete style and luxury while shopping at stores such as Harrods and Harvey Nichols or taking in sights such as London Bridge, the London Eye or even Buckingham Palace. Our service is all about delivering class, style and an experience that leaves you feeling relaxed from the moment you are picked up to the moment you arrive at your destination. All clients will benefit from complimentary bottled mineral water, mints and newspapers. As well as professional, well-dressed chauffeurs who are on hand to deliver our service in an impeccable manner. If you’re looking for Chauffeurs from Leicester to London, look no further. Our experience allows us to take control of the whole process, leaving you to sit back and relax. And if you’re arriving by train or plane, we can monitor all arrival times to ensure that we are always punctual. So this means that you won’t be left waiting around for us to arrive. When our drivers arrive, they will send you a text message informing you of their location because we believe that keeping you informed enhances the whole experience. Our Chauffeurs have an extensive knowledge of London and so, that means that they can take you to your chosen destination efficiently and promptly. Ensuring that you can maximise your time in the Capital City. We understand that taking care of clients and staff is an important part of running a business. Perhaps you have a requirement to transport clients to London on a regular basis as a way of showing them the bright lights of London. And maybe you reward staff by arranging from them to spend the day in London. Whatever your needs might be, our professional and executive VIP Chauffeur Service is perfect for you. Our fleet of vehicles certainly set us apart from our competitors. We believe that our clients should travel in complete luxury. Therefore, we offer the latest Mercedes E Class, S Class and V Class MPV as well as Mercedes Executive Mini Coaches. This allows us to cater to the varying needs of our clients while always maintaining the highest level of attention to details. Our vehicles are clean, comfortable and air-conditioned, enabling our clients to travel in style while feeling completely relaxed. The 4G WiFi, onboard iPad and complimentary bottled mineral water, mints and newspapers ensure that our clients are given the ultimate in first-class travel. Our Mercedes V Class and MPV also come with conference style seating, making them the perfect choice for large parties or even business parties, ensuring that there is plenty of space for luggage or shopping bags. Our sightseeing chauffeurs can take your clients or staff from Leicester to London and back again, leaving them to enjoy all that London has to offer. So whether they want to spend the day shopping on Oxford Street or sipping cocktails in a plush restaurant, we can take care of all requirements. From monitoring train and plane arrival times to meeting our clients are a pre-arranged meeting point, we strive to deliver a VIP service that offers complete satisfaction. We understand that when it comes to booking our Chauffeur service, our clients want a process that is simple and efficient. So that is exactly what we offer. For businesses, we offer a 30-day credit facility and itemised monthly statements. Making it simple to keep on top of expenses, while we also offer significant cost savings for corporate accounts. For individual clients, booking with us could not be easier. The process takes just a few minutes and we accept all major credit and debit cards, ensuring that our reputable, professional chauffeur service can be accessed by all. Let us take care of your travel requirements. We guarantee that you will travel in style and comfort, ensuring that you feel refreshed and prepared to take on all that London has to offer. So contact us today, or online booking form book online.